Our newest research initiative is holding a peer review meeting Oct. 23–24th in Oxford, UK, for one of its inaugural projects Sandstone Conservation: Methodology for Evaluating Conservation Treatments. 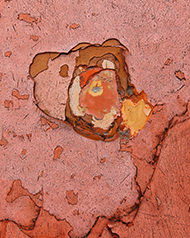 It aims to develop a robust, multi-method approach for evaluating conservation treatments for sandstone. Project participants from the GCI and the University of Oxford have been busy in 2017 developing baseline methodologies. At the meeting, they will showcase their work to date, and solicit feedback and guidance from international experts in the field. 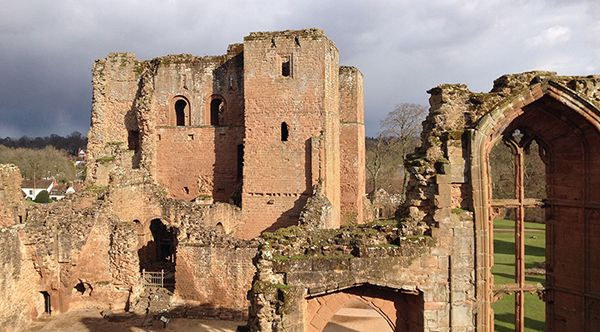 Find out more about the Built Heritage Research Initiative. Still time to apply. The application deadline is October 14, 2017. This workshop will offer conservators the practical and theoretical tools to design effective treatment strategies for outdoor painted sculpture. The GCI, in partnership with the National Center for Preservation Training and Technology, is presenting a three-day training course on the preservation and conservation of modern heritage. The course will provide professionals with an opportunity to increase their basic knowledge of the conservation of modern buildings. The training will include an introduction to conservation principles, methodology, and technical best practices, as well as providing guidance on available resources. Find out more. Applications will be available in November 2017. 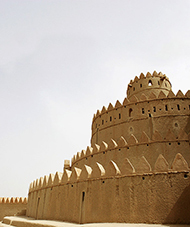 We are pleased to announce the International Course on the Conservation of Earthen Architecture 2018 (EAC18), a collaboration between the GCI and the Abu Dhabi Tourism and Culture Authority. The course seeks to improve the practice of conservation and rehabilitation of earthen sites internationally by providing participants with a holistic understanding of the decay and deterioration of earthen buildings, disseminating effective conservation and rehabilitation methodologies, and ensuring a practical understanding of appropriate repair methods and long-term management strategies. Find out more. Applications will be available in December 2017. GCI welcomes two new Guest Scholars. 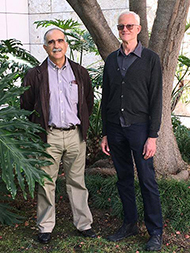 José Delgado Rodrigues is an independent scholar from Lisbon, Portugal, and Glenn Wharton is clinical professor in museum studies at New York University. They will be at the GCI through mid-December. The application period for 2018–2019 scholar residencies is still open. Deadline to apply is November 1, 2017. Find out more and apply online. 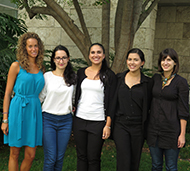 In September, the GCI welcomed graduate interns Emma Ziraldo, Melissa David, Giulia Russo, Nicole Declet, Alison Reilly, and Bia Fonseca. They will be at the GCI through August 2018. The application period for 2018–2019 graduate internships is still open. Deadline to apply is November 1, 2017. Find out more and apply online. The Conservation and Presentation of Mosaics: At What Cost? 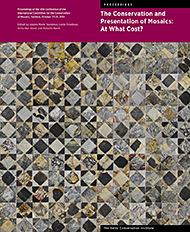 The volume's sixty-seven papers and posters, comprising contributions from more than one hundred leading experts in the field, reflect the conference's principal themes: cost, methods of survey and documentation, conservation and management, education and training, backing materials and techniques, presentation and display, and case studies. Papers are presented either in English, French, or Italian with abstracts in English and either French or Italian for all entries. 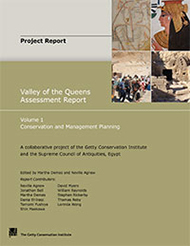 The Valley of the Queens Project was a collaboration of the Supreme Council of Antiquities and the GCI from 2006 to 2011. The project involved comprehensive research, planning, and assessment, followed by concept proposals and culminating in the development of detailed plans for flood mitigation, tomb stabilization, wall paintings and site elements, and site and visitor management and infrastructure. Volume 1 records the research and assessment undertaken for these aspects. Volume 2 has now been completed and records the condition summary of the 111 tombs from the 18th,19th, and 20th Dynasties in the Valley of the Queens. Access volumes 1 and 2. 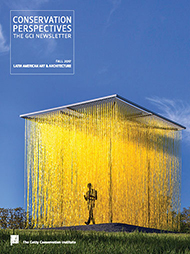 As a complement to the Getty's Pacific Standard Time: LA/LA, which explores Latin American and Latino art, this edition of the newsletter focuses on the work of Latin American conservators as they endeavor to care for the region's vast and diverse architecture and contemporary art. Download the fall issue or read it online. 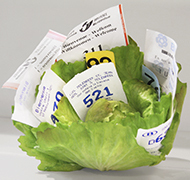 Gabriel Kuri, Waiting stub lettuce, 2004. Courtesy of the artist and Franco Noero Gallery, Turin. Join us for this special event that will explore the work of two cutting edge, experimental artists: Analia Saban and Gabriel Kuri. The evening will begin with viewing two short documentaries featuring each artist, created as part of the Artist Dialogues series, followed by a conversation among the artists and GCI associate scientist, Rachel Rivenc. Free | Advance ticket required. Get your ticket today. In her blog post, Pia Gottschaller, senior research specialist at the GCI, reveals the conservation science behind the exhibition Making Art Concrete: Works from Argentina and Brazil in the Colección Patricia Phelps de Cisneros. The newest additions to the Conservation Collection in the Research Library at the Getty Research Institute include works on wood finishing in architecture, heritage building information modelling, and chemicals and methods for conservation. Some materials are available through the library's interlibrary loan service. We have added nearly 800 new records in our most recent AATA update, including many from important conservation proceedings volumes. Follow us, learn about what we do, and tell us about your visit! 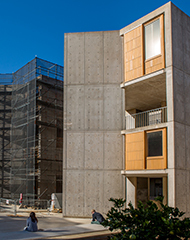 The Getty Conservation Institute (GCI) works internationally to advance conservation practice in the visual arts - broadly interpreted to include objects, collections, architecture, and sites. The Institute serves the conservation community through scientific research, education and training, field projects, and the dissemination of information. In all its endeavors, the GCI creates and delivers knowledge that contributes to the conservation of the world's cultural heritage. The GCI Bulletin is published electronically six times a year to keep partners and supporters up-to-date with GCI programs and activities.